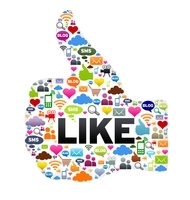 Social media is a great outlet for your campaign to reach thousands, if not millions. Are you making use of these social media platforms? In the nonprofit sector, there is a constant need to stand out in order to secure new, young, and diverse donors. As technology continues to be a focal point in society, nonprofits are turning to social media to get missions and campaigns in front of the masses. Twitter and Facebook have long been the most popular social media outlets. However, in April 2014, the use of Snapchat by the World Wildlife Fund for its #LastSelfie campaign proved to be a wake-up call for organizations that limit their social media presence. Snapchat’s audience is mostly young women in their teens and early 20s—one of the hardest audiences to reach. In addition to Snapchat, Tumblr and Instagram are also reaching millennials when it comes to marketing efforts. So, how could these work for your organization?